Community members in East Harlem having a look at the students' work. Student work pinned up at Party on Park in East Harlem. 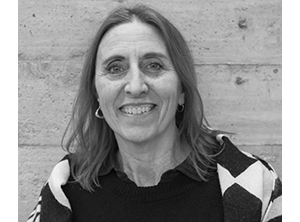 B Arch student Estafano Torres represented Spitzer at the Party on Park. 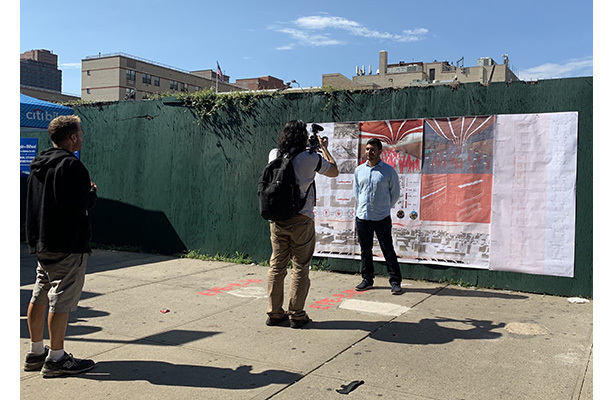 On September 30, B Arch student Estefano Torres of Fabian Llonch‘s advanced studio, East Harlem: Urban Infrastructures and the Streetscape, presented the studio’s progress at the Party on Park. 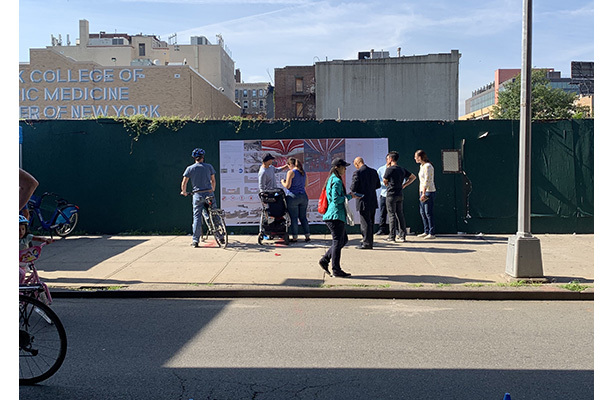 The studio, sponsored by Artimus, is studying the streets around Park Ave between 111th and 132th to propose architectural solutions that would benefit the community as a whole — and the Party on Park community event took place in the same area. Torres represented his classmates and the Spitzer community while showcasing the project proposal and answering questions. 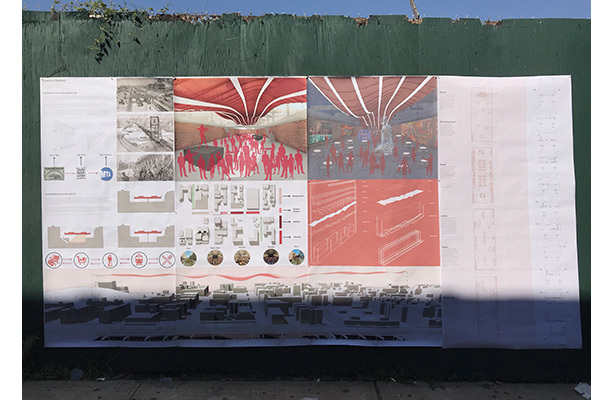 This project is a continuation of last spring semester’s studio, also sponsored by Artimus, in which the group wrote a research document and proposed architectural ideas for East Harlem that would offer the community the opportunity to exchange, interact, connect, and relate with each other.